After a flurry of summer travel, I came home to an herb garden that more closely resembled a jungle. Thyme cascaded over the edge of the bed, my oregano looked like a small shrub, and basil was everywhere. I am always surprised when this happens. In the spring, right after planting, every snip taken seems on the verge of ending the young plant’s life. I’m so eager to harvest that I find it hard to sit back and let them grow. 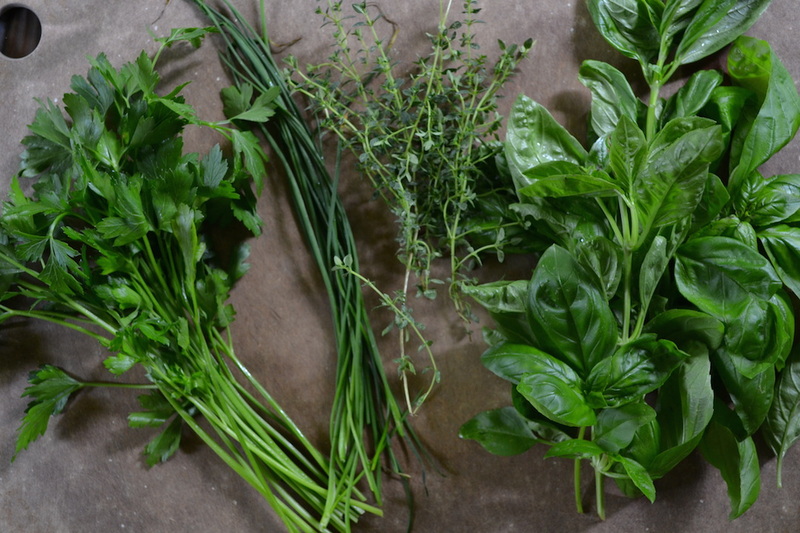 Yet without fail, halfway through the summer and despite my efforts to the contrary, I find myself with more herbs than I know what to do with it and a flurry of activity ensues. Last night, I made a big batch of basil pesto. Some was tossed with warm noodles and promptly enjoyed, while the remainder was divided up into smaller portions and frozen. This winter, when the weather is bleak and dreary, I have a feeling I’ll be glad to have a bit of summer in my freezer. I’ve always been a fan of boursin and her variation did not disappoint. It’s much lighter and fresher than what you get in the foil wrappers and since trying it for the first time I’ve made several variations, including the one below, when I have a surplus of herbs in my house. While simple to make, I do recommend draining the ricotta overnight. Sometimes this yields quite a bit of liquid, while other times depending on the brand, it’s just a few drops. 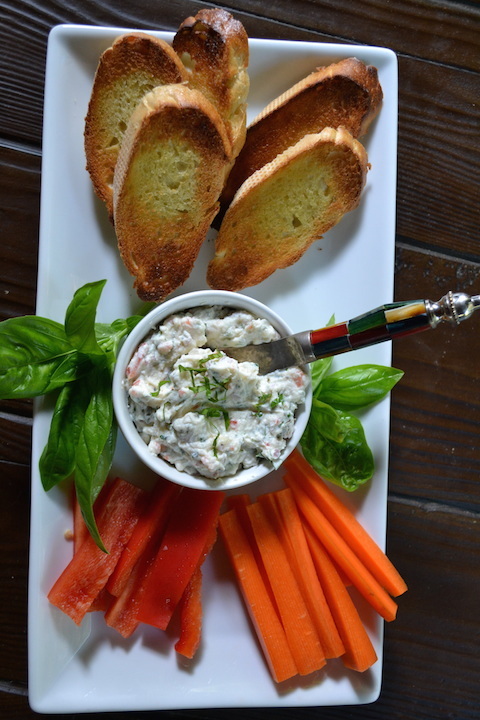 Taking the time to do this however makes this dip not only suitable for vegetables, but also as a spread for toast or sandwiches. I personally plan on enjoying it for breakfast spread on a bagel and topped with sun-kissed tomato slices. 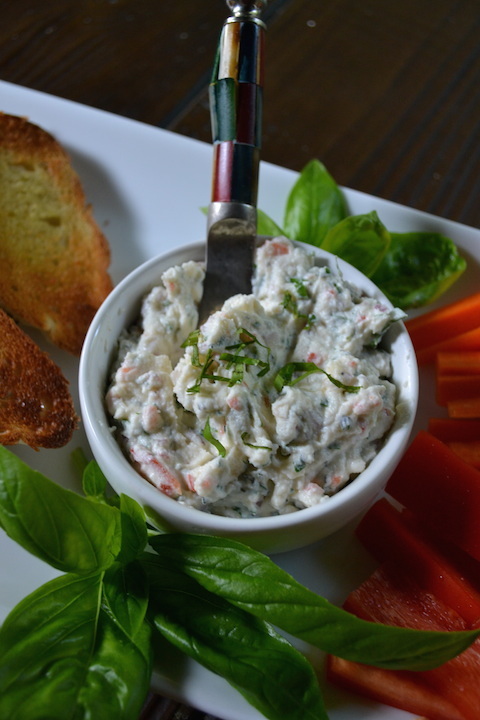 This dip practically begs for variations and I encourage you to try it with whatever herbs you have on hand. 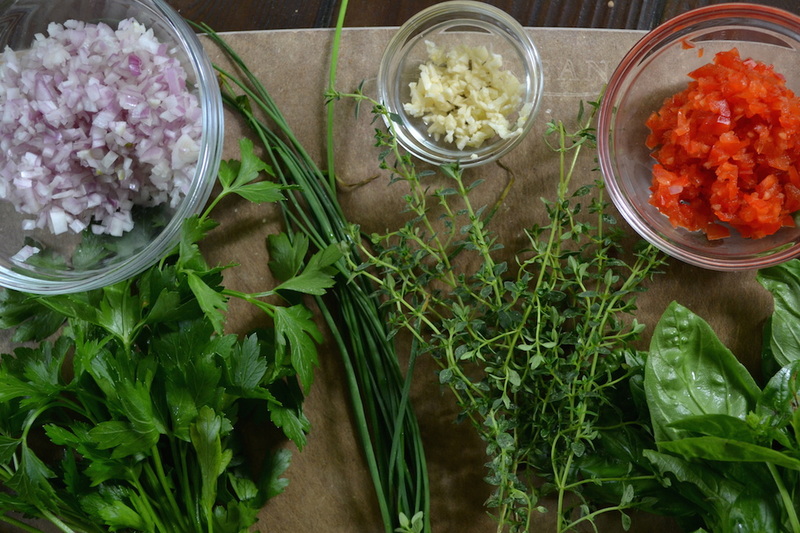 Wherever your tastes lead you, be sure to use plenty of herbs for maximum flavor. And please, if you stumble upon a particularly delicious combination, share it with me. Spoon the ricotta into a fine mesh strainer set over a bowl. If you do not have a fine mesh strainer, line a colander with cheesecloth and set it over a bowl. Cover the cheese with plastic wrap and place it in the refrigerator to drain for at least 3 hours and preferably overnight. Spoon the drained ricotta (discarding any liquid) into a medium bowl. Stir in the remaining ingredients and season to taste with salt and pepper. Serve immediately or refrigerate for up to 2 days. 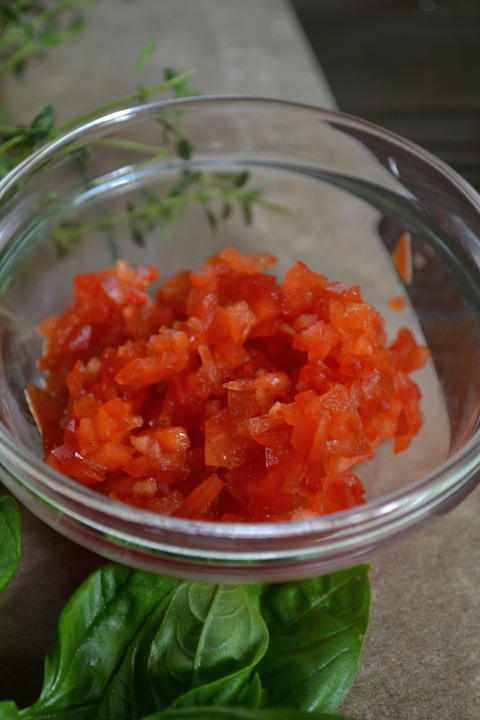 If refrigerating, add the basil right before serving as it tends to brown. While the flavor won’t be affected, appearance might.